What Should I Use to Clean My Tanning Bed? Owning a tanning bed is rewarding to frequent tanners. Tanning in the privacy of your own home allows you to get a tan on your own schedule without the hassle of a salon setting. As with any home appliance, maintenance is required in order to keep your tanning bed sanitary and in proper working order. Be sure to choose a tanning-bed sanitizer that is appropriate for cleaning acrylics and is safe when it comes in contact with human skin. 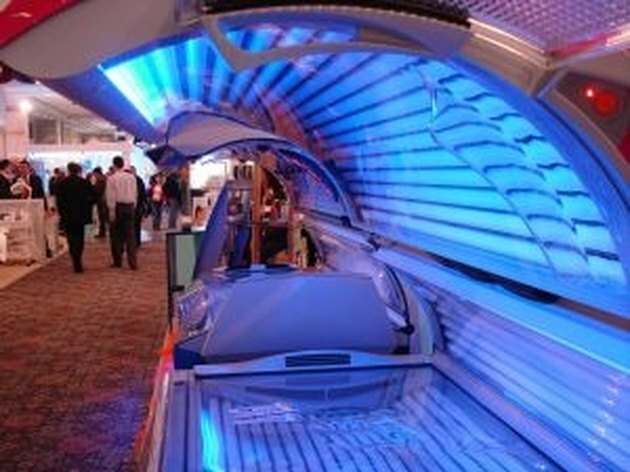 Tanning-bed surfaces are typically made of acrylic, are inexpensive and react well to heat and weight. Acrylic is easy to clean, but should be sanitized properly when used in a tanning bed. Acrylic is porous, absorbing bacteria into the tanning bed surface, which can be transferred between users. Special sanitizers can quickly kill harmful bacteria, while wiping the tanning-bed surface clean of lotions and perspiration. Using the wrong sanitizers can irritate the skin, leave the surface dirty, or damage the acrylic surface. 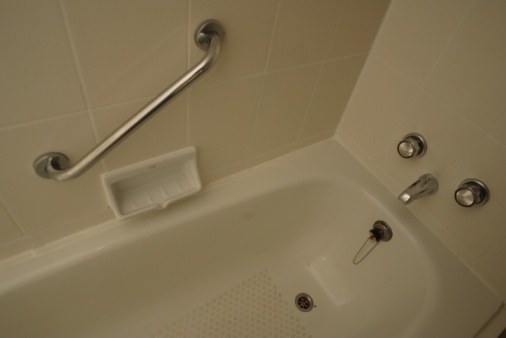 Over time, acrylic damage can cost you money in replacements. You can purchase special sanitizers for tanning-bed acrylics that are also less likely to cause skin irritation. One of the most common and simple-to-use tanning-bed sanitizers is made by Australian Gold. This sanitizer is used by salons and home users alike because of its one-step use. Other major brands include Power Kleen, Lucasol and Ultra Clean. Bacteria like E. coli and Methicillin Resistant Staphylococcus Aureus (MRSA), are commonly found on the surface of tanning acrylics and can cause rash or infection if not eliminated properly. Make sure to clean your tanning bed after every tanning session, even if you are the only person using the bed. Most tanning-bed-sanitizer solutions require the user to mix a concentrate with water. Solutions should be pH neutral, so purchase pH test strips to help you measure pH levels in each mixture. pH test strips can be purchased from most tanning-bed-sanitizer suppliers. Make sure to routinely clean all other areas of the tanning bed on a regular basis. If your tanning bed has a fan, wipe the dust from each blade using a damp cloth or duster. Also sanitize the handles and timer buttons inside of the bed with the same sanitizer you use on the acrylics. The exterior of the tanning bed should be wiped clean with a damp cloth or duster. Be careful not to under-sanitize or over-sanitize. Over-sanitizing can cause painful or itchy rashes on the skin due to heavy chemical content. Make sure to properly dilute your sanitizer according to directions. Always check the pH level before using the sanitizer. 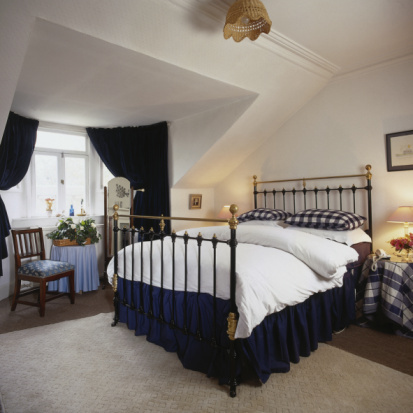 If your cleaning solution turns out to be too diluted, it can fail to kill all of the hidden bacteria in the bed. Bacteria can grow and cause skin problems and infections if left untreated. Make sure to test a new sanitizer by applying it to the bed and transferring it to a small portion of your skin. This will let you know if your skin will have an allergic reaction to the chemical solution.